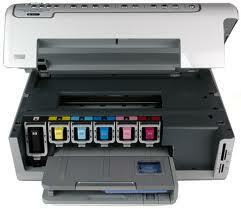 Have you ever wondered how an ink jet printer works? Probable not, but it’s really amazing what goes on inside these machines when you hit print. The technology that goes into formulating the ink, engineering the cartridge, the print head and the electronics that sends the code from the computer to the printer is remarkable. Take a minute and watch this video and you will get an idea of what happens when you print a document.